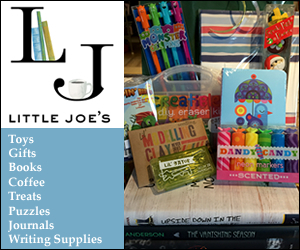 Saturday, October 13th, 2 – 6pm. Westchester Avenue in Pound Ridge at Scotts Corners. 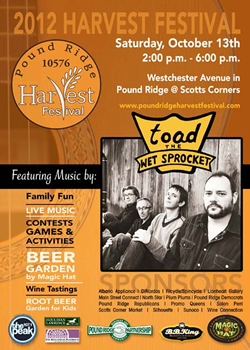 Live Music by Toad the Wet Sprocket. Beer Garden by Magic Hat, Root Beer Garden for the kids. Find out more at www.poundridgeharvestfestival.com.